Rudi’s Tea Room reopens on Tuesday, May 21, 2019. For 2019 reservations, please contact us once the Tea Room reopens. Rudi’s Tea Room closes for the season on Friday August 30, 2019. 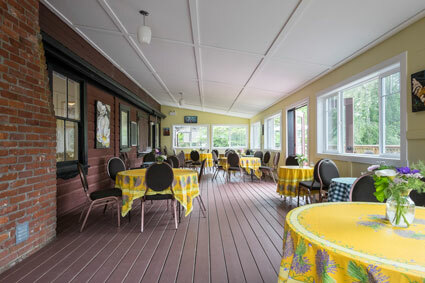 The Tea Room is located in Butterworth Cottage and offers a chance for visitors to enjoy lunch, tea, pastries and other refreshments. Featuring daily soups, sandwiches, quiche and other delectable treats made by the Executive Chef at Government House, it’s the perfect place for lunch, afternoon tea or refreshment during a walk around the Mews and gardens. To make reservations at the Tea Room, please call 250-858-4417. Email requests can be sent to ghteahouse@gmail.com. Please note that reservations are only open to groups of ten or more, outside the hours of 11:30 a.m. to 1:30 p.m. All other seating will be on a first come, first served basis. These onsite buildings have been used as support buildings to Government House since their construction in the 1870s. Thanks to the efforts of the Government House Foundation, some of the buildings have been rehabilitated and are now outfitted for the public to enjoy. The Cary Castle Mews is a cluster of 19th century wooden service buildings located on the southeast side of the Government House estate. The Mews consists of stables, a carriage house, a gaol, a root cellar, a wash house and a poultry house (part of which was later used as a gardener’s cottage). Butterworth Cottage was originally built as a poultry barn and in the 1920s was partially adapted as a residence for the head gardener. In 2008, the Cottage underwent further rehabilitation in order to house the Tea Room and Interpretive Centre. The Tea Room has become a popular destination for locals and tourists alike. The Interpretive Centre is also located within Butterworth Cottage, adjacent to the Tea Room in what was originally the poultry barn. 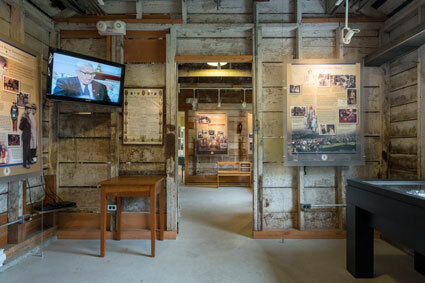 Inside the renovated space, visitors will find information about the history of the Estate of the Lieutenant Governor, a designated National Historic Site. Displays include stories and photos of the people who lived and worked in Government House and on the estate, as well as the history of the role of the Lieutenant Governor in British Columbia. The Cary Castle Mews is also home to the Lawrence J. Patten Heraldry Exhibit. 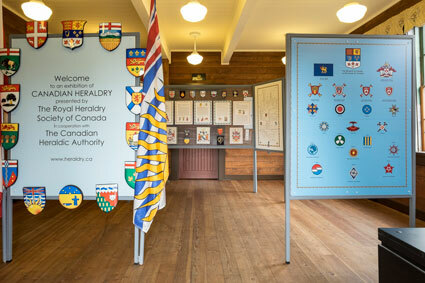 This display was created by the British Columbia branch of the Royal Heraldry Society of Canada Royal Heraldry Society of Canada (http://www.heraldry.ca/), whose mission is to promote heraldry, particularly Canadian heraldry, and to encourage an interest in the subject among Canadians. Visitors have the opportunity to learn about the history, design, colour and language of heraldry and view examples of heraldic shields. A preview of the exhibit is available here. Between the Interpretive Centre and the Carriage House, visitors can also view the original totem pole, Hosaqami. 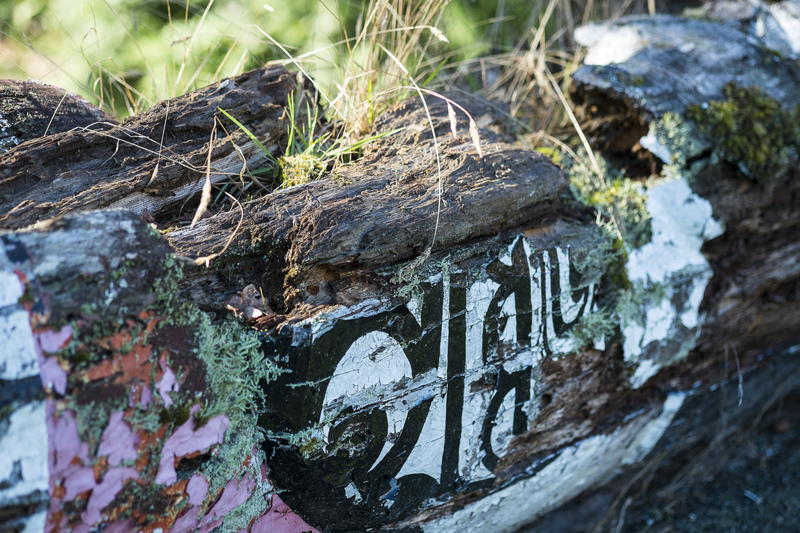 In 1959, the Royal Canadian Navy, as a 50th anniversary event, commissioned artist Chief Mungo Martin to carve a totem pole and gifted it to the Royal Navy in recognition of the enduring relationship between the two navies. The pole was displayed on Whale Island in Portsmouth, England until the late 1980s, where it was severely damaged by the weather. It was sent back to Canada to see if it could be restored, but the extent of the damage was too much and Chief Tony Hunt, who assisted his father Henry Hunt and his adoptive grandfather Chief Martin in carving the original, recommended it be returned to the earth and a replacement be carved. In celebration of Her Majesty Queen Elizabeth II’s Diamond Jubilee in 2012, the Honourable Steven Point and the Government House Foundation commissioned Chief Hunt to carve a replica of the totem pole. The new Hosaqami stands in front of Government House where it remains in perpetuity.